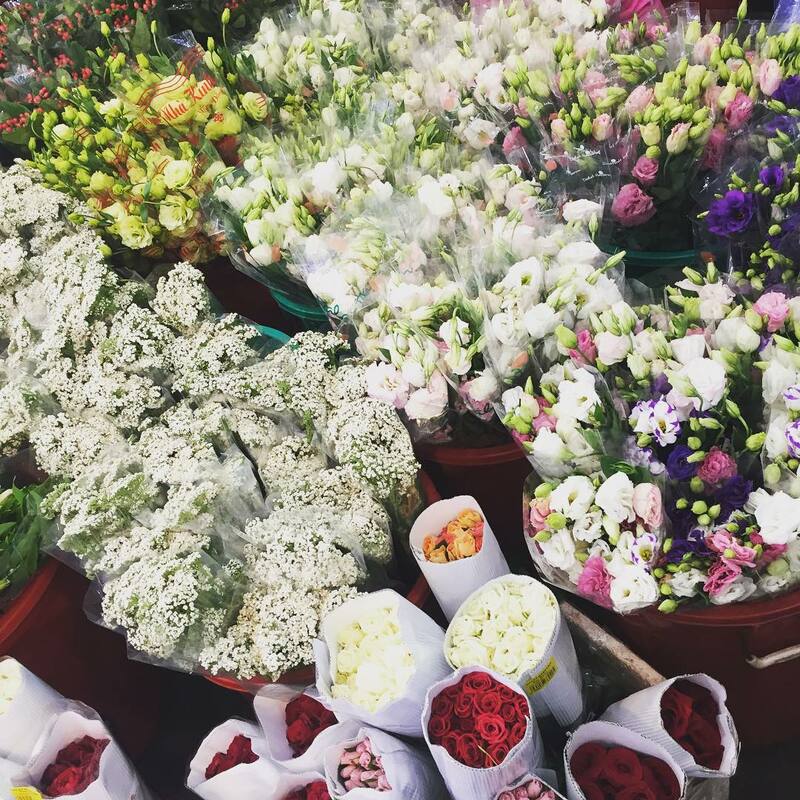 At each time in a day, this flower market has the private beauties with colorful flowers and fragrant perfume. Walking around the market, tourists will be certainly fascinated by many kinds of flowers. 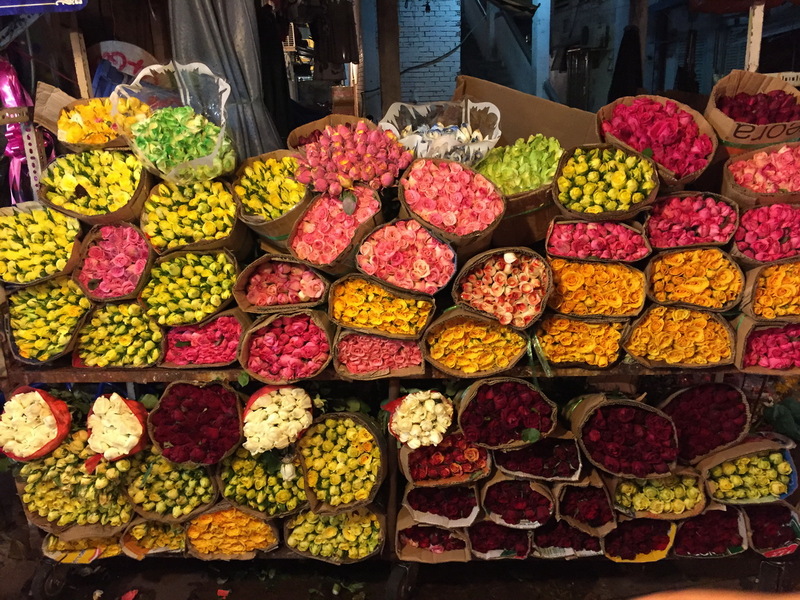 The best time to visit the Ho Thi Ky flower market is at the midnight. At this time, it is less crowded and in a good condition for visitors to discover this market. 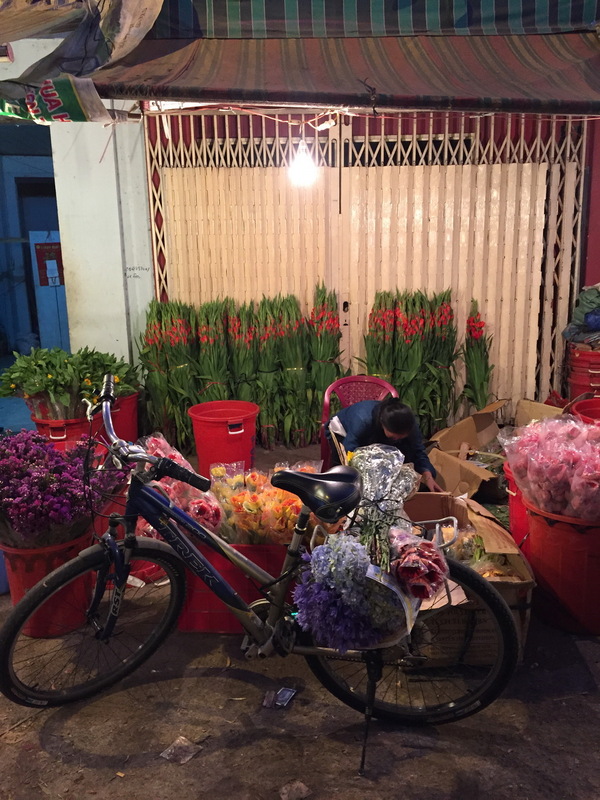 Ho Thi Ky flower market is located on Ho Thi Ky road and behind the Le Hong Phong apartment in District 10. 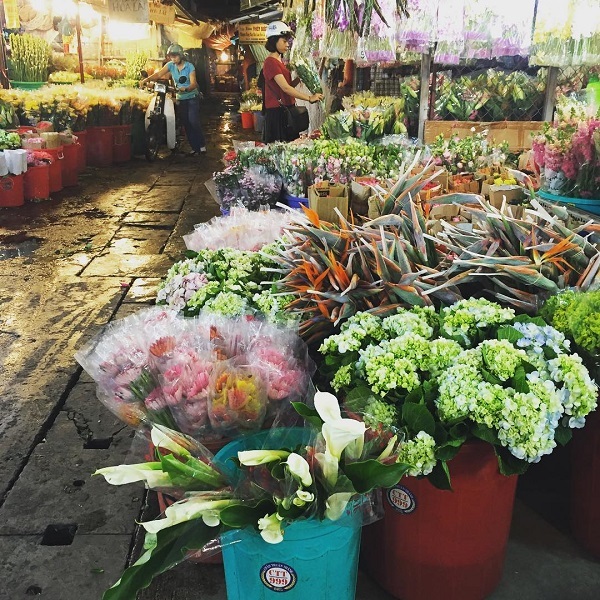 This is one of the biggest flower wholesale markets in Ho Chi Minh city. There are hundreds of kinds of flowers with the diversity in color, style and origin. This market opens all day from the aurora to midnight. Ho Thi Ky flower market is the place supplying the fresh and beautiful flowers with quite low price in Ho Chi Minh city. You can find chrysanthemum, marigold, gerbera, auspicious flower to orchid, rose, sunflower and so on. They are very radiant, beautiful and attractive. The flowers with the fog showing the beauties together will bring travelers the special emotion. Under the cool weather in the midnight in Ho Chi Minh city and sparkling lights, tourists can have chance to dip into peaceful and romantic atmosphere. Moreover, you can choose to buy some flowers or bouquets as the presents for you family and friends. This is considered as the unique way to speak out the sweet words of love. The images of customers choosing the flowers and business taking care of them make a lively picture of a beautiful city waiting for a new day. The flowers in this market are very fresh and beautiful, so it will be very easy for you to choose. However, you should pay attention to the prices of them. The businessmen usually give the higher cost for tourists. This is the reason why you need to bargain before deciding to buy. For rose, the price is about VND 3,000 per one. For chrysanthemum, it is about VND 5,000. The average price of a bouquet of lily is about VND 90,000. Besides, tourists also can buy the baskets which are made of rattan. After bringing the flowers to home, visitors need to preserve them carefully to last for few days. Change the water usually: The best time to change the water is in the aurora or the evening. It will make the absorption of water happen easily. Keep them on the cool place: The hot weather and sunshine are the first causes of the languish flowers. Therefore, you should keep them on the cool place and out of the direct sunshine. When you arrange and cut the flowers, it should be beveled cutting because this enlarges the contact area between the bough and water. 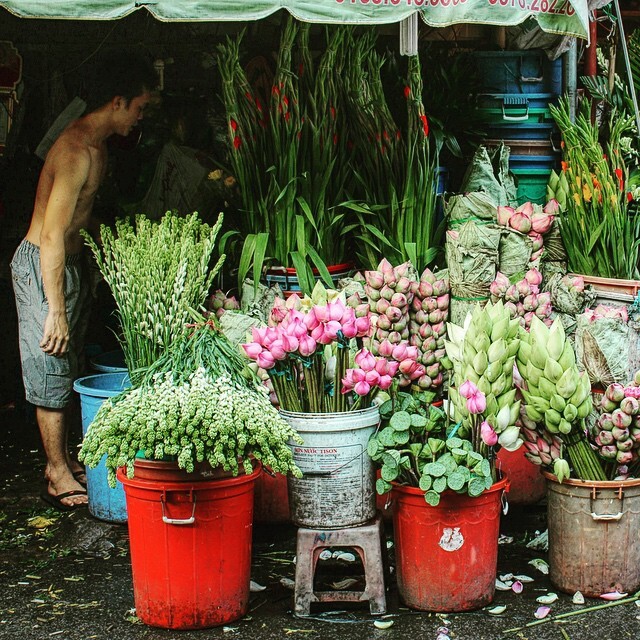 Ho Thi Ky flower market owns the private beauty of Ho Chi Minh city. This is considered as the ideal place for flower lovers. Try wandering this market at night and enjoying its special beauty, you will have the wonderful feeling and experience in your Vietnam tours.